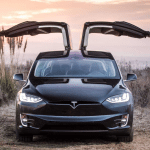 The American National Highway Traffic Safety Administration (NHTSA) has just given the Tesla Model X its highest-ever rating for any SUV style vehicle. 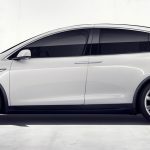 In fact, the Model X, the biggest vehicle in the Tesla stable, scored 5/5 stars in every category evaluated by the Administration. 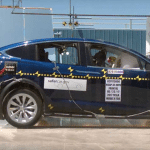 Even more impressive is that the Model X is the second safest passenger vehicle they have tested to date. The safest? 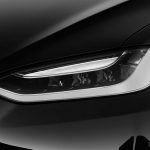 You probably already guessed… the Tesla Model S. This is a remarkable achievement for any manufacturer but all credit to the Tesla startup! 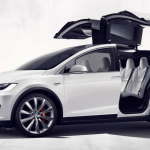 The Tesla Model X raises the bar in the SUV safety stakes! 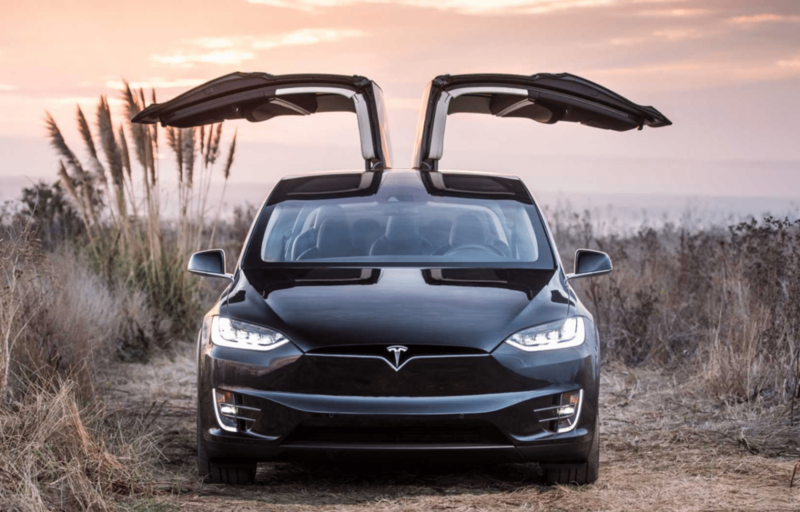 In the front, side, and rollover crash test, the Model X got perfect scores across the entire Model X range, from the 60D right up to the ‘top of the line’ P100D. 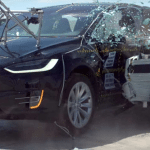 Fortunately, few of us will ever be in a collision like this test of the Tesla Model X. 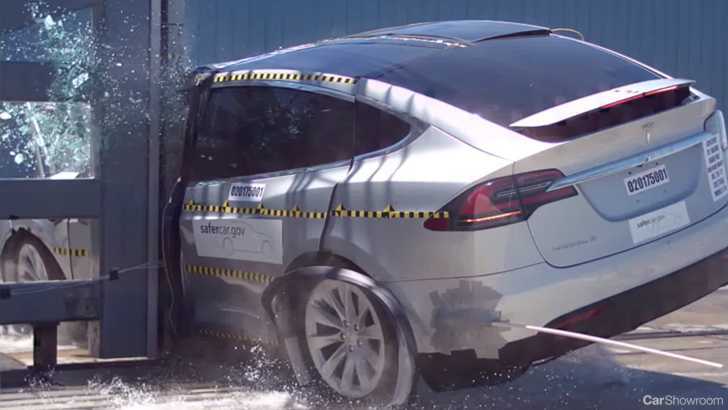 “More than just resulting in a five-star rating, the data from NHTSA’s testing shows that Model X has the lowest probability of injury of any SUV it has ever tested. 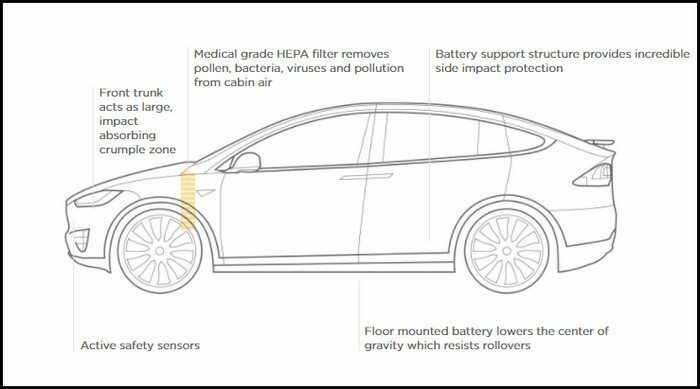 In fact, of all the cars NHTSA has every tested, Model X’s overall probability of injury was second only to [the] Model S.” – Tesla Inc.
Having the ‘strengthened by design’ battery pack mounted low in the floor has undoubtedly been a big factor. 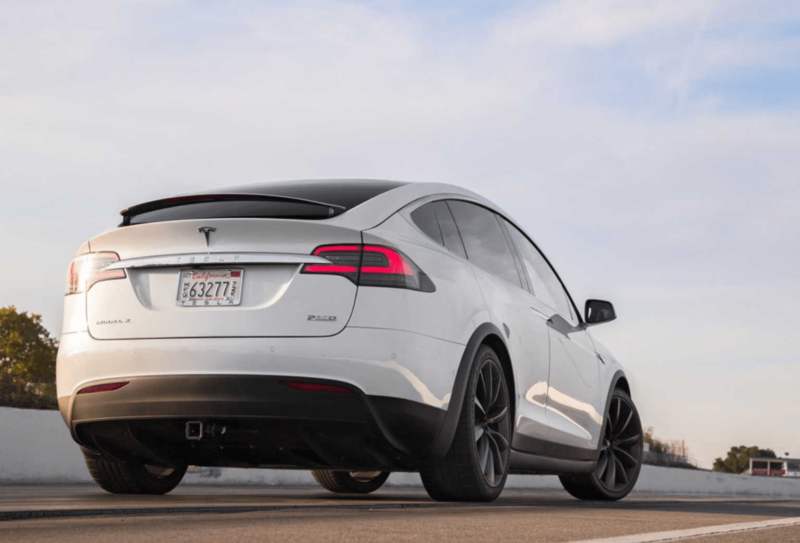 That weight and strength down so low, means that the vehicles centre of gravity is where conventional vehicle manufacturers can only dream about. 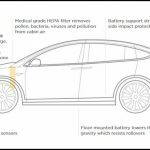 Tesla claims that 93% of Model X occupants involved in a crash will walk away without serious injury. 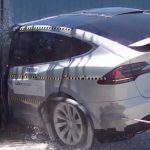 It hurts to watch but Tesla claims that 93% of Model X passengers who become involved in an accident will walk away pretty much unscathed! 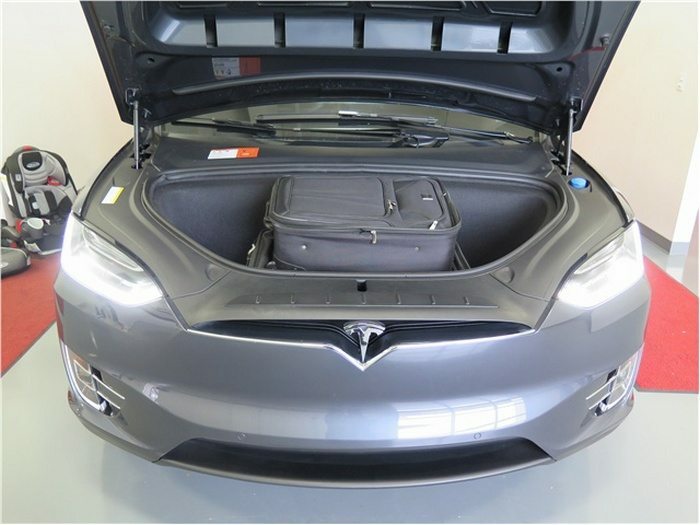 All that while carrying up to six passengers or two and a seriously impressive 2.2 m3 (77 ft3) of luggage up back with room for the two golf bags or two strollers (who’s car is this?) up front where the engine isn’t! The drawback for most of us is the price. This is not your typical Korean bargain. 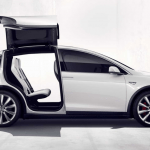 Prices start around AUD$130,000 and go all the way to AUD$225,000 (USD $85,000 – $145,000). 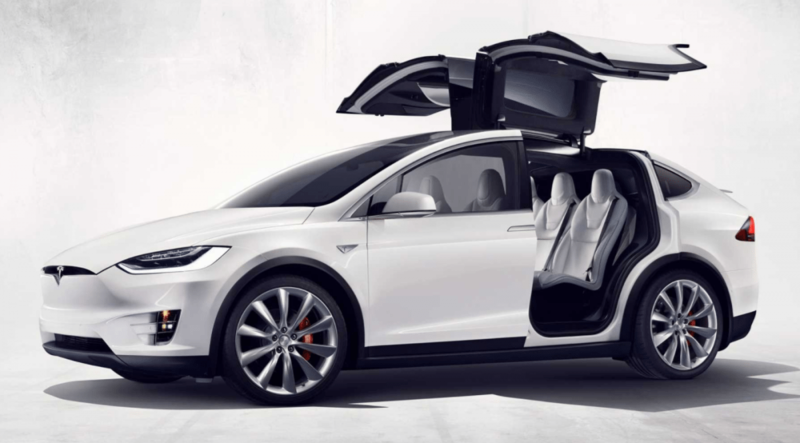 There may be better SUVs out there, but the Model X is regarded by many as more than just an SUV. 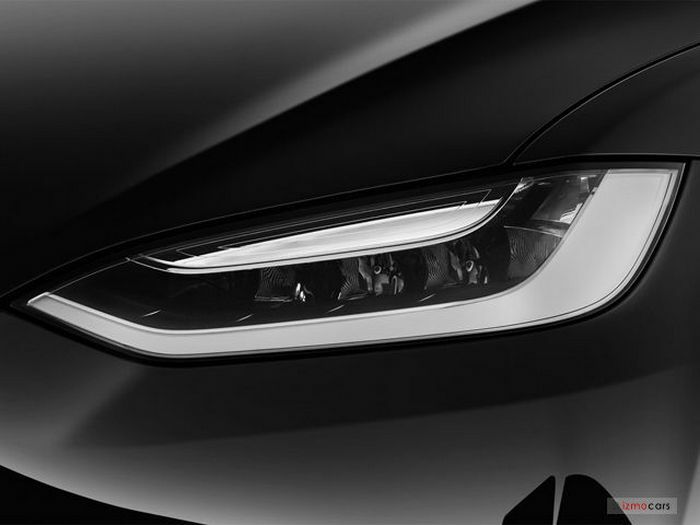 It’s a statement of ones commitment to the future, it’s a symbol of forward-thought and new mobility. 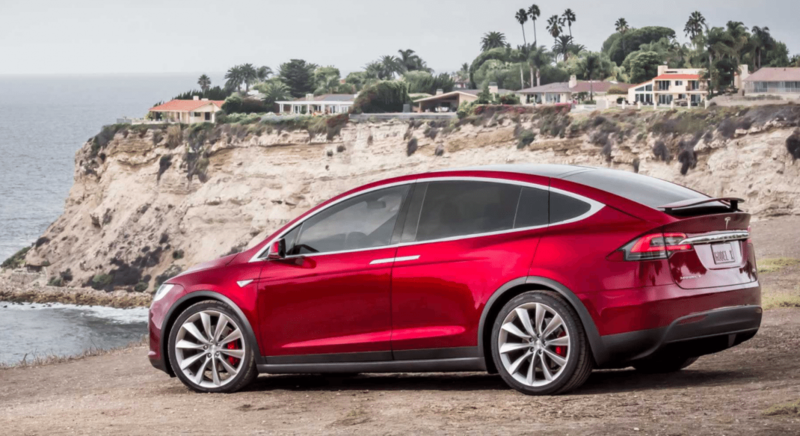 Thing is, if you’re not that hot on trends and reckon that EVs are just not quite there yet, the Model X simply will not appeal. 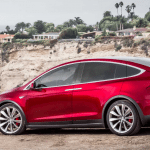 If you absolutely have to be on the cutting edge of new technology, then the Model X has little comparison. 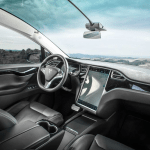 It’s a spacious, practical, comfortable family wagon that feels at home both in town and out on the open road, and offers a degree of technological sophistication that you simply cannot get anywhere else. 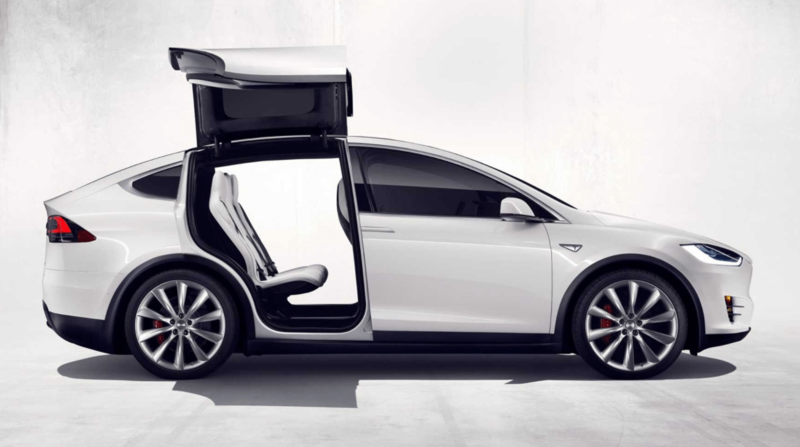 Its distinctive styling and unique rear doors blend practicality and style perfectly, resulting in a car that’ll stand out no matter where you go. 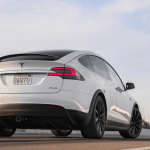 Battery technology is continuing to improve almost daily. 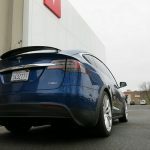 As uptake increases, production costs and then prices will fall making EV’s more affordable for all of us. 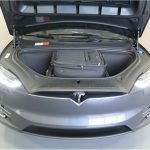 I can see a Tesla or equivalent in my future. 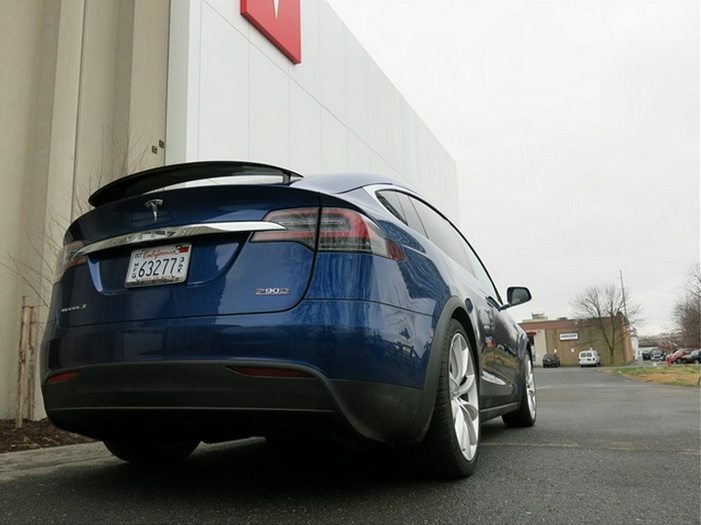 Can you, or will you always be glued to the rumple of the internal combustion engine… even if it’s running on hydrogen? 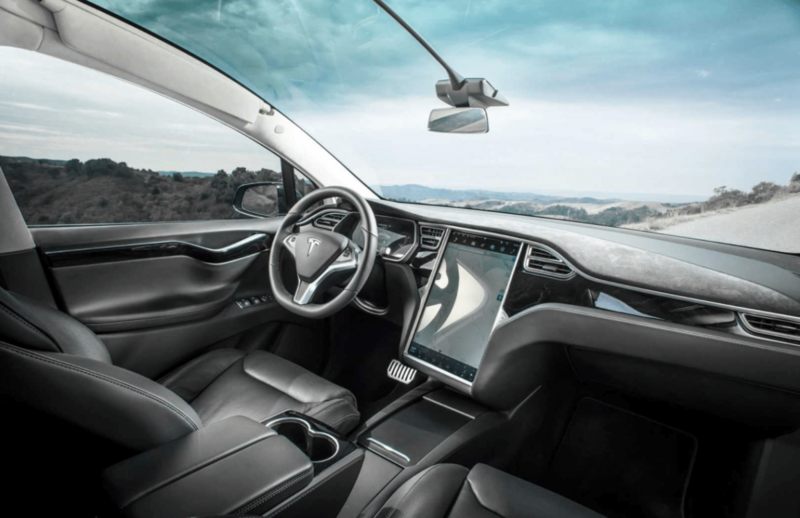 Previous articleFlying cars… science fact or science fiction? Next articleOnline safety: You’re anything BUT invisible when using public Wi-Fi!